My sister, who teaches first grade, sent me a cartoon several years ago that I framed for my office. As I write this, students, teachers and parents are settling into the routine of another school year, and I had the same feeling as those on the park bench — what happened to summer? Perhaps you feel the same way. • Just this morning, I was told of a teacher who also had her own child in our schools. This teacher referred to her child as a “Perfect Wings child” because he had a form of autism. The child has since graduated from a Catholic high school and has done very well. The teacher/mom credits his experiences in our schools and the assistance of the Perfect Wings program for his success. • Recently, I was reading through material sent to me by a school leader. Included in the material was a description of the various circumstances of families whose students attend the school. I was humbled that families were so committed to keeping their children in Catholic schools despite job losses, illness and changes in family circumstances. These parents also know the difference our schools can make in their children’s lives, and I am so appreciative that our schools are able to work with families in so many challenging situations. I am grateful that the members of our school communities — parents, teachers and students — value Jesus’ presence and see it in our schools. 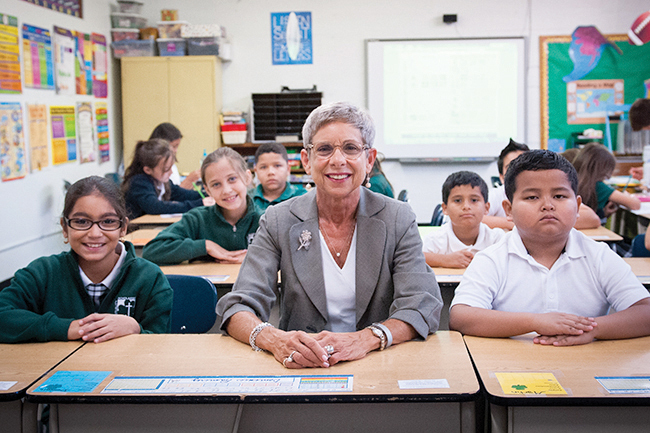 As we start another school year, I want to say thank you to everyone who supports Catholic schools. Please pray that we are guided by the Holy Spirit and the love of Our Lord Jesus Christ.